Note: Originally published June 26, 2007. I always thought Warren Buffett was irreplaceable. And it was precisely Buffett’s apparent ability to see the unforeseen that had caused me to finally get on a plane bound for Omaha—after years of reading his annual shareholder letters and studying the shareholder meeting transcripts that, before the internet came along, were passed like samizdat among the growing legions of Berkshire followers—to see the irreplaceable Buffett in the flesh. I wanted to witness the Berkshire-Hathaway phenomenon just once, before his mystical powers had diminished—or worse—and the company’s leadership had passed to younger, lesser individuals. And I’m glad I did it...manual-locking rental car and shirtless-shareholder-in-the-parking-lot notwithstanding. My own personal apprehension of Warren Buffet’s apparent clairvoyance came nearly thirty years ago, almost the very first day I started on Wall Street. It was 1979, not long after the Iranian revolution had triggered the second great oil shock in a decade, and I’d been hired out of college by a major Wall Street firm to be an oil analyst, albeit an extremely junior one. It was lucky timing on my part, since oil prices had recently tripled and, for reasons that now escape me, were widely expected to hit $100 a barrel in another year or two. Practically from the day I started all anybody on Wall Street wanted to hear about was oil and oil stocks—even if the person doing the talking was an extremely junior analyst who knew next to nothing about the real world, let alone investing in general and oil stocks in particular. Strangers asked for tips on the elevator, and I gave them. It was quite the heady experience. Meanwhile, a heretofore successful investor out of Omaha, Nebraska had begun accumulating a large position in General Foods, the predecessor of today’s Kraft Foods and owner of such stalwart brands as Maxwell House, Birdseye, Post and Kool-Aid. Hard as it is to imagine now, packaged food companies back then were considered slow-growing, dull businesses—victims of a decade's worth of oil shocks and wage-and-price controls. Their stocks were for value-investing chumps and coupon-clipping widows and orphans, not performance-hungry fund managers. Given Wall Street’s infatuation with oil stocks, few people outside his then-small band of loyal followers could understand Warren Buffett’s infatuation with General Foods. General Foods’ key asset, he explained, was the supermarket shelf space commanded by its brands—Maxwell House coffee, Birdseye frozen foods and Post cereals, not to mention Kool-Aid. Since no supermarket could do without ‘em, General Foods was able to price those products high enough to earn a superior return on investment, even in an inflationary cost environment, with everybody expecting oil to go to $100 a barrel. Of course, oil never went to $100 a barrel. It never even got to $50 at that time. It stopped instead at about $35, because something happened that our spreadsheets—Wall Street research departments were among the first to get a new invention, the “personal computer,” which enabled us to construct wonderfully complex and totally meaningless five-year earnings forecasts—hadn’t taken into account: demand for oil dropped. And as demand collapsed, so did oil prices (eventually down to $10 a barrel). Things stopped going against packaged food companies and started going for them. With costs declining and demand rising, General Foods made a killing, thanks to all that shelf space. By the time Wall Street got around to realizing the inherent value of “shelf space”—and people had stopped talking to me on the elevator except to tell me which floor button to push—General Foods had been acquired by Phillip Morris, to the enormous benefit of Berkshire-Hathaway’s balance sheet, Warren Buffett’s reputation, and his growing base of worshipful shareholders. While, in retrospect, buying stock in the country’s largest packaged foods company on the cusp of the greatest consumer spending boom since World War II looks like a “no-brainer,” it was, at the time, not at all obvious. I began to understand why people called him the Oracle of Omaha. What he had done was much simpler, but at the same time far harder: he had correctly identified the key asset of a company, measured its worth, and judged it vastly under-priced in a stock market still looking backward at recent history, rather than forward at things that hadn’t yet happened. Yet it wasn’t until after I’d taken my seat at the Qwest Center and observed Buffett answer question after question—over thirty in the course of nearly six hours—with the firmness, confidence and constancy of a minister who has been preaching the same gospel for half a century, with only subtle adjustments to the canon, that I really grasped the full import of that central fact. Thus, the heart of Berkshire-Hathaway’s success is not solely the prodigious brainpower of a unique human being, it is a rational process immune to current waves of thought. And since what needs replacing at the head of Berkshire-Hathaway is the extraordinarily rational behavior of an extraordinary human being, not the mystical powers of a genetic mutation, I have come to the conclusion that Warren Buffett is, in fact, replaceable. This is not to say “Uncle Warren,” as he is called by some of the longer-term members of the faithful, won’t be missed in his role as the colorful master of ceremonies at these annual meetings. Nor do I mean to understate the unique abilities both men possess. First and foremost, Warren Buffet is scary-smart. 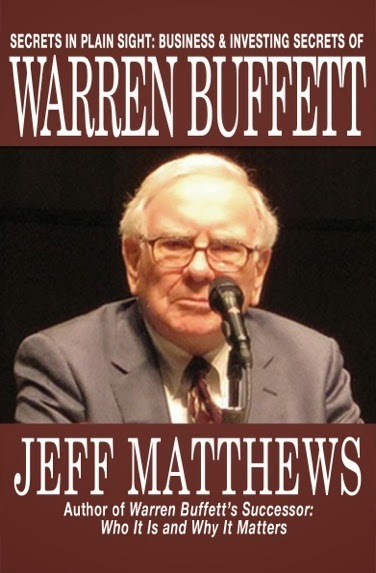 This should be obvious, but it’s easy to lose sight of, especially when the avuncular, self-deprecating “Uncle Warren” discusses both his successes—which he generally ascribes to Munger’s wise counsel or the “All-Stars” who manage the various Berkshire-Hathaway businesses—and his failures, for which he takes all the blame. Now, in the course of this brief, self-flagellating airline discussion, Buffett happened to toss off two obscure numbers: the cost-per-seat-mile of fanatically efficient Southwest Airlines (“8 cents”), and the cost-per-seat-mile of the aging, inefficient US Air (“12 cents”). And it is no coincidence that cost-per-seat-mile is the single most important variable in the airline industry. For during the course of the day, Buffett invariably zeroed in on the most important number for whatever industry came up. As one who started life on Wall Street as an oil analyst, I can say that “finding costs”—the money an oil company spends to discover and develop its oil reserves—is hands down the single most important indicator of an oil company’s long-term value. It beats revenues, margins, reserves, and anything else you can think of. And, despite the fact that less than 3% of Berkshire-Hathaway's $65 billion portfolio is in U.S. oil stocks, and only one at that (Conoco Phillips), Buffett knows exactly what he's looking for when he reads their annual reports. Thus it is that whether he’s talking about food companies or airlines or newspapers or oil companies, Buffet has clearly made it his business to identify the single most important variable for each business—and knowing those crucial variables, he can determine whether the values offered in the stock market at any given time are attractive, or not. Still, it is not enough that Buffett himself is scary-smart: there is a reason Charlie Munger is his partner, confidant, and closest advisor. While Munger does occasionally lapse into grumpy-old-man syndrome—he dismissed the potentially catastrophic impact of global warming by quipping “It would be more comfortable if the world was a little warmer,” and his mail-order-bride-with-AIDS crack went over like a lead balloon—he is every bit Buffett’s peer in the realm of the mind. It is probably no coincidence that one of Berkshire-Hathaway’s least profitable investments was the aforementioned silver trade, which in fact was Buffett's idea alone. Yet it is not merely being scary-smart, and partnering with a like-minded individual to help him keep the place "rational," that has caused Buffett to make Berkshire-Hathaway a market-beating, efficient-market theory-confounding enterprise for nearly forty years. Being in Omaha has something to do with it too, I think. For Omaha sits smack in the middle of the country, both geographically and metaphorically. Even with jet travel, it is not all that easy to get to for anybody, let alone an eager young investment banker trying to push a bad deal, or an extremely junior analyst passing off third-rate stock tips. The buildings are mostly solid brick and granite: insurance companies, not investment banks, dominate what skyline there is. The streets are wide and quiet. Even the river flows relatively undisturbed, allowed to flood its banks in places. I can tell you that not very many people on Wall Street—or in any other financial capitol around the world—were “reading and thinking” during those fear-crazed days when a highly leveraged hedge fund nearly brought down the system. Being thus removed from what he calls the “electronic herd,” Buffett can ignore the short-term distractions of Wall Street, and focus on the long term opportunities for his shareholders. “You need to see five to ten years out,” he told his shareholders at one point. And those shareholders are willing to wait. After all, they have been waiting—some for as long as forty years—and they have been amply rewarded for doing so. Being in Omaha, and having perhaps the most patient shareholder base in the world, allows Buffett to wait, and eventually act, on those visions of fatness. Now, Warren Buffett isn’t above a little self-promotion. That movie at the start of the morning session was nothing if not a panegyric to Warren Buffett. And he is, I am told by reporters who have dealt with him over the years, surprisingly accessible, particularly when the story in progress is not necessarily flattering, as during the AIG-General Re "finite insurance" flap of a few years back. Of course, both Buffett and Munger have been saying these kinds of things for ten or fifteen years, at least, and their shareholders know enough to expect more, because unlike the typical Fortune-500 CEO who attempts to raise his stock’s value by setting artificially low expectations and beating them modestly in the short-run, Buffett and Munger have been exceeding their shareholders’ expectations for decades. It is early Sunday morning, the day after the shareholder meeting and our trip to the Nebraska Furniture Mart. Outside it is still dark and raining. The storm clouds that had opened on our way to dinner last night were part of a heavy weather system that spawned tornadoes in Nebraska and other parts of the Midwest over night. One destroyed an entire town in Kansas, I find out after turning on the Weather Channel. Getting home is looking tricky. Instead of waiting for the lackadaisical hotel shuttle, I split a cab to the airport with a man who does not appear to be a member of the Berkshire-Hathaway shareholder crowd. While most of the people we saw at the Qwest Center yesterday were older, paunchy, and quite relaxed, this guy is young, fit, and quite impatient to get to the airport. Turns out he works for Warren Buffett. Jain handles the so-called super-catastrophic insurance policies that Berkshire-Hathaway makes a specialty of underwriting, at great profit. Mike Tyson’s life, billion-dollar Pepsi contests, earthquakes and town-destroying tornados are the stuff of Ajit Jain’s territory, and he is a legend in the business, thanks in part to Buffett’s frequent mentions in the shareholder letters, as well as his reputation as the insurer of last resort. He could, of course, be describing Warren Buffett. The trip to the airport is brief so our conversation ends quickly. He leaves for his flight, and I for mine. The sky lightens as the sun rises, and the rain mutes to a drizzle. My flight leaves on time, lifting off over the muddy river and the brown, flooded fields, up into the clouds. The trip home is smooth and without incident. Berkshire-Hathaway without Warren Buffett will not be the same company, but that is not saying anything nobody didn't already know. Furthermore, the great investment returns of yesteryear will diminish with or without him—the law of large numbers will see to that. I also suspect Buffett’s successor will find that the Berkshire stable of businesses—at least those outside the core insurance operations, such as Fruit of the Loom, See’s Candies and especially Nebraska Furniture Mart, from which Buffett has been draining much cash over the years—would do better over the long term as publicly traded companies in their own right. They'll need a Munger, to keep the place rational. Chris Wagner, whose plastic “Shareholder” badge—and years of prodding—actually got me inside the place. Whitney Tilson of Value Investor Insight, whose 33 typewritten pages of Berkshire-Hathaway Annual Meeting Notes supplemented my own—oddly enough—33 handwritten pages of notes, when memory failed or my notes were incomplete. Please read his notes at ValueInvestorInsight.com. The readers of this blog, whose patience and encouraging feedback prompted a much fuller contemplation of the Berkshire-Hathaway annual meeting than I ever intended—to my own benefit, if not their own. Jeff - Brilliant review! Thanks. A wonderful series. Thanks again for sharing it with us. An outstanding series of commentaries on two icons of the financial world. I feel very fortunate to have read this series and when time allows, I will read this entire series a second time. Thanks so much Jeff for all the time and effort you spent on sharing your observations and thoughts on the annual Berkshire meeting. Jeff - many thanks. Like you I've been a follower of Buffett and his letters for a while, though not as long as you and found them some of the best investment and business thinking ever. Your Omaha report goes beyond that in providing a much deeper insight into the processes, attitudes and skills - that is we can sorta get a glimpse of the process instead of just the results and descriptions thereunto. This last post raises a couple of fascinating questions - how well do you have to understand a company and industry to know what the "one number" is ? And doesn't that suggest that understanding how a particular business works and the implications for the long-term are the ultimate path to understanding and capturing value ? In other words shouldn't we, as investors, employees or other stakeholders be bending every effort to developing that capability ourselves ? Since a trip to Omaha is not in my foreseeable future plans, thanks for sharing your first-hand account. Well done. I thoroughly enjoyed the series. Thanks. Jeff, your summary was one of the most superb pieces of journalism I have encountered over the last few years. Tilson's notes are nice, but your narration is simply impossible to beat. Thank you for a very entertaining read. I do appreciate your effort. Sincerest compliments. You asked some very interesting questions throughout. Great entertainment and superb writing. Jeff - One of your best. Thanks for putting this series out there. Very much appreciate the time and effort this series required. I enjoyed this series very much. Thank you. This series is what makes your site one of my first stops. Jeff, you are a keen observer of the investment world and this group of essays is you at the top of your form. Thank you. Great series! Thank you very much. Not that you need another complement but I will add mine. I enjoyed the series of blogs, thanks. Now that the "Pilgrimage" is complete, writing about Overstock won't have that same gravitis. Jeff me thinks you should have waited until we lit our lighters before you gave us the Pilgrimage. A Classic!!! One correction, you stated that Berkshire does not own one share of a US oil company - it owns almost 18 million shares of Conoco. That error has been corrected. Thank you, and the several other sharp-eyed readers who caught it. My apologies. A couple of his larger 1990s deals (KO, G) notwithstanding, Buffett seems destined to be forever searching for places to invest surplus cash due to his aversion to paying for growth. He must realize that he could save tons of time and reinvestment effort with more big growth names and fewer Acme Bricks. Given his recent comments regarding his personal income tax rate vs. his secretary's, and his longer history of complaining about tax cuts, etc, I'm curious to know if Buffett spoke out at all about taxes, corporate or personal, during this session. Dadeo: Right you are about Buffett's widely disseminated thoughts on taxes...but no, he wasn't asked about corporate or personal taxes, or even estate taxes, and made no mention of them himself. This really was a pleasure to read. Like you and a lot of the others I have read and enjoyed both the the Berkshire letters and AGM transcripts, this however, was the closest thing I have read to being there. You should consider a career as a financial travel writer, a Bill Bryson of the AGM as it were. Thanks for all the time and effort you put in. One last point. I know "Uncle Warren" has complained about the "helpers" and the "2 and 20 crowd". Do you or anyone out there know what the Buffett Partnership charged? I'm still thinking about this series, which indicates how good a job you did. If you're ever in Orlando FL I'd like to take you to lunch. Leave a note at my blog and we'll go from there. Jeff, congratulations for a very interesting piece. I reaaly enjoyed your writing. You mentioned, how Buffet has clearly made it his business to identify the single most important variable for each business. Would it be possible to put together a list of single most important variable for each industry? I think that would be of tremendous value for this community. Telecom/Mobile Service providers - ??? Congress Blames the Hedge Funds—Yeah, That’s It! Hold the Presses: Rupert Outbid! Pilgrimage, Part VIII: Who Do You Trust?